Message "Select home app" keeps popping up on Sony Xperia Z1 compact | ..:: JOCHEN HEBBRECHT ::.. 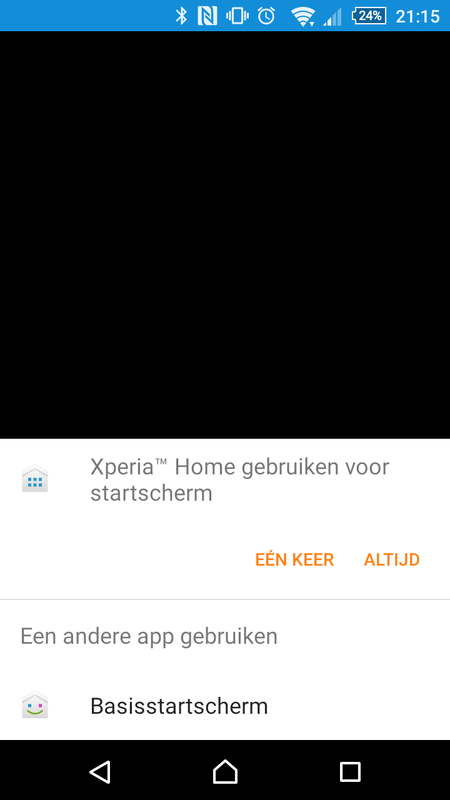 The following message kept appearing on the screen (in Dutch: Xperia Home gebruiken voor startscherm). Even if you choose Always; 10 minutes later, the message appeared again.